Accurate cell counting is often required when handling mammalian cells, from routine cell culture, cell splitting to quantitative experiments such as qPCR. Counting chambers, more frequently referred to as hemocytometers, were the first method developed specifically for obtaining accurate cell counts. However, this method is labor intensive and time consuming. 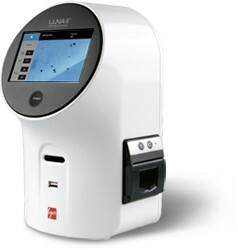 Built on innovative multi-plane focusing technology, together with unique software and hardware configurations, LUNA™ automated cell counters provide a quick, precise, accurate and cost effective alternative for cell counting. Units come with affordable, ready-to-use counting slides! Free demo available.